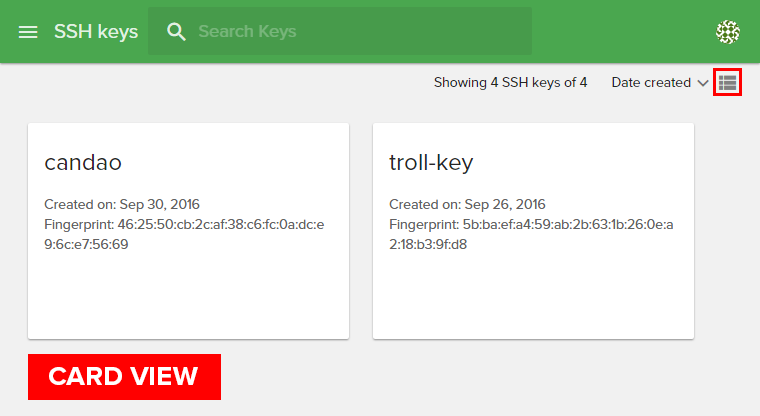 To add a SSH key which is already created, click on the plus (+) button from the bottom right Add SSH Key. Name: This will set a name for the key, so you can identify it easier. Key Content: In this field you will add/paste your public key. In order to generate a new SSH key from the Fleio interface, click on the plus (+) button from the bottom-right Add SSH Key, hit Generate Key, then wait a few moments. Name: This will set a name for the key, so you can identify it easier. Only letters and numbers are accepted. Key Content: In this field you will see the generated Public Key. Private Key: This field will provide you the Private Key. You need to copy your Private Key as it will not be saved on the server. 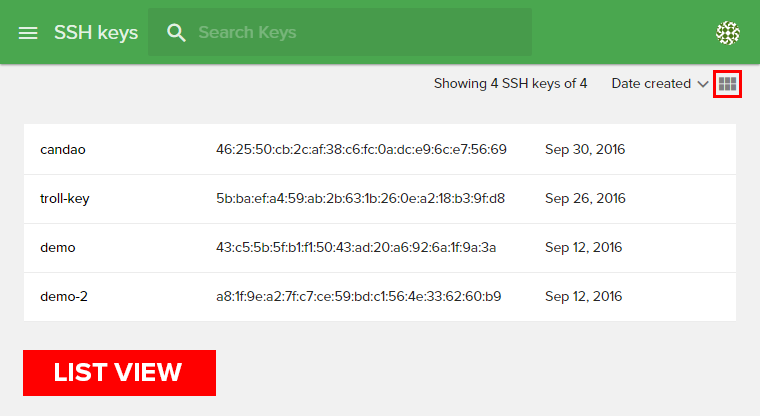 To search a SSH key from your dashboard, type the name in the search box from the top of the SSH keys page. 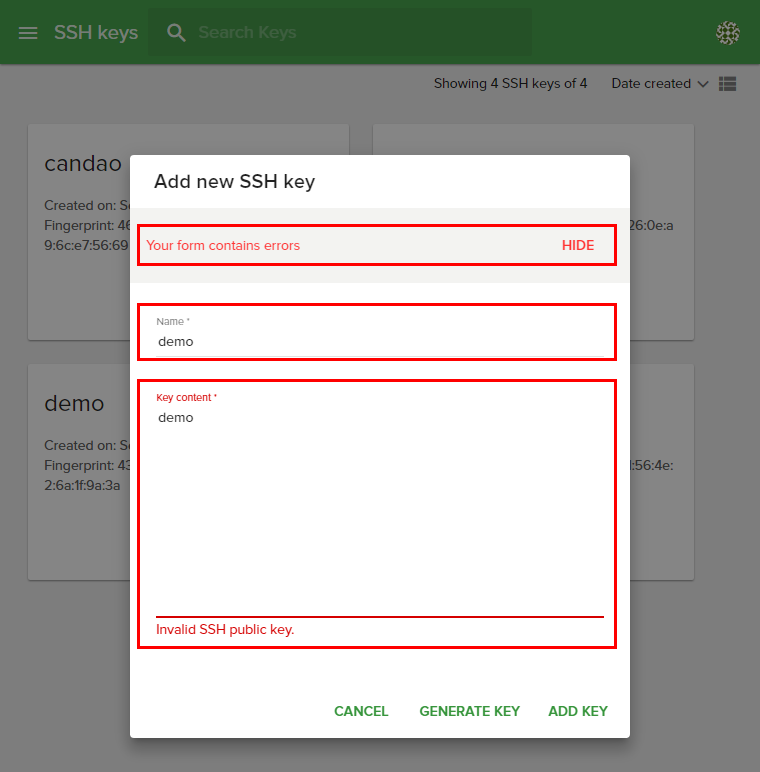 To edit a SSH key, click “Edit” and you will be able to change the “Name” and/or “Key Content”. To finish and save the changes press “Save Key”. 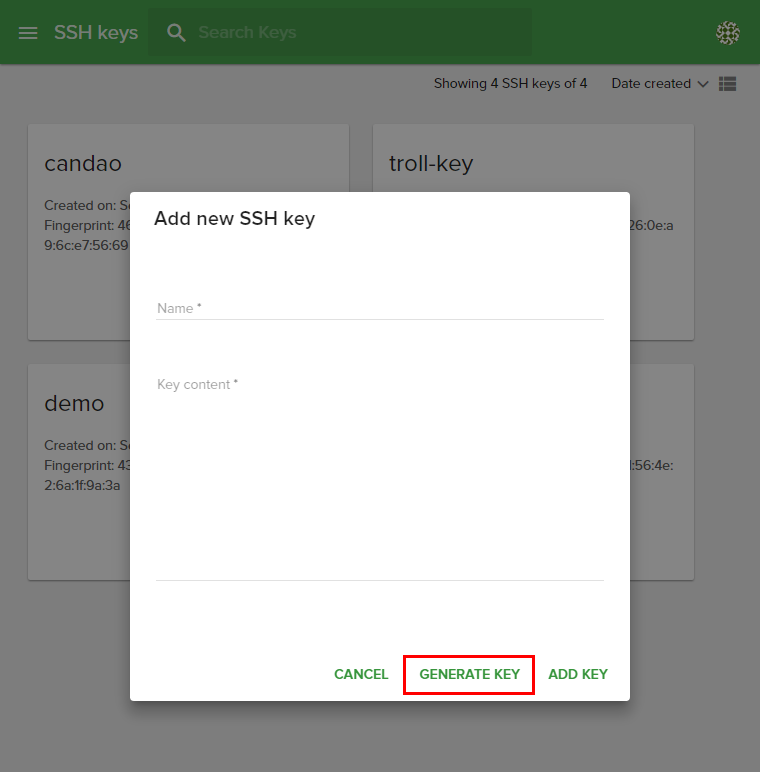 To remove a SSH key you have to identify it in the dashboard and select Delete. Creation date: Shows when a SSH key was created in month-day-year format. Fingerprint: Shows each Public Key fingerprint which is a sequence of bytes used to identify a longer public key. Fingerprints are created by applying a cryptographic hash function to a Public Key . Before copying your Public Key from a text editor it is recommended to save it as a single line text without empty spaces between characters and then paste it in Fleio interface. Join our mailing list to stay up to date on Fleio development, discounts, OpenStack tutorials and OpenStack news. To complete the newsletter signup process please access the confirmation link from the email we just sent you.